Justice Scalia had a heart attack and died shortly after The Fourth Amendment in Flux went to press. Any preliminary votes he cast in conference are null and the Court is left with just eight justices until a new nominee is confirmed. His death left the Court with a large number of pending cases the decision of which are affected in a significant way by his absence, including two undecided Fourth Amendment cases. We argued in our book that Justice Scalia played a major role in the debates over the application of the Fourth Amendment. In the Afterword that we wrote for the book after it went to press and which is available in the e-book edition as well as on the press’s web site we discuss some of the issues that will continue to put pressure on the Court and the ramifications of the departure of Justice Scalia including the future of the third party doctrine using a cell phone to track an individual’s location and the use by law enforcement of commercially collected meta-data. 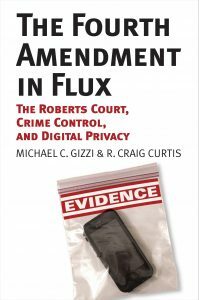 The Fourth Amendment truly is in flux, and as we argue in our book, the last five years have seen significant shifts on the Court. The 2016 presidential election remains critical for determining the direction that the Court will take on these, and other issues. Will the jurisprudence of crime control continue to be challenged, or will it remain the primary paradigm for Fourth Amendment cases? Learn more in The Fourth Amendment in Flux.